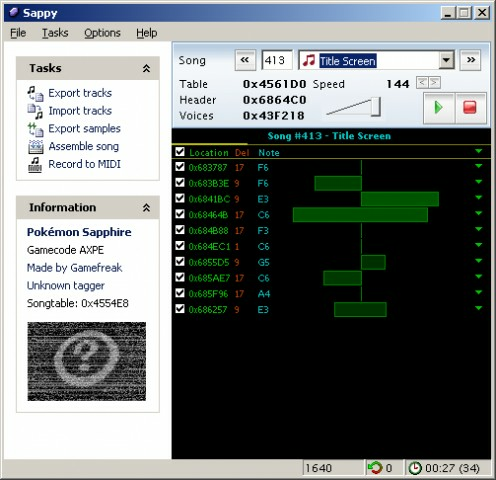 Music Editor for select GBA games (although it can try searching for listings in new titles and users can define them manually otherwise). There are two main forks with this download being the 200? fork. 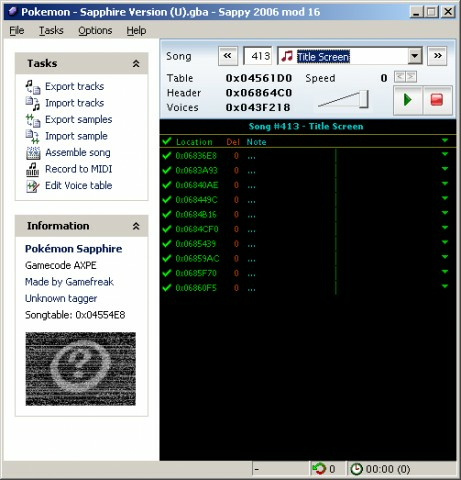 The older 1.6 version (which should also be available in the versions list) is used by a lot of GBA rom hackers. The mod line was found on various Japanese hacking sites and supposedly does not crash on windows Vista and Windows 7. Also supposedly has slightly better injection methods for samples. It does not appear to come with the premade XML file containing listings for various games but the main line of 2006 should have it. 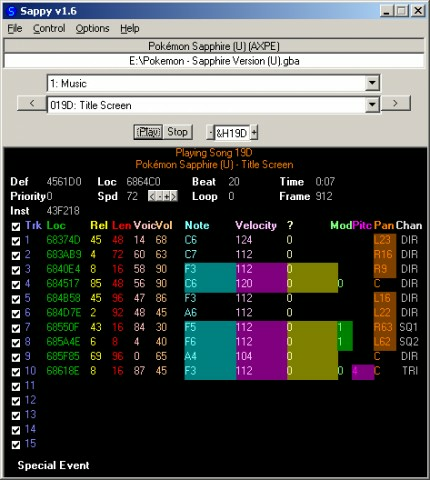 There is also an extensive guide (in Japanese) to the program and some GBA audio editing with it. Sappy 2006 mod 17.1 NEWEST!